Since a while I am really convinced LINQ is great. Okay, it has its limitations, but since a couple of weeks those limitations start to get challenges . Since I assume that you know pure LINQ to XML, extension methods, etc. etc. already (contact me if I am wrong – I will be glad if I can be of some help), I will not dive too deap into it. Instead, I show some nice examples on LINQ to SQL with XPath. I locate the examples around an XML file with book information, as shown below. What I am going to do, is to show how to reach my goals using pure LINQ to XML and how to reach the same goals using LINQ combined with XPath. First of all, to be able to use XPath in combination with LINQ, it is important to include a reference to the System.Xml.XPath namespace. Including this reference leads to a couple of XPath related extension methods which are available on all XML entities, like XDocument and XElement. Let’s start with the most simple LINQ query, loading all books from our XML file and writing their titles to the console. This query can easily be altered to support XPath, as you can see from the next picture. Although this example does not show any extra value for using XPath, it is already nice to be able to use XPath. Let’s move to a slightly more complex situation and only select the book with ID 4. // where clause failes: only functions with XElements, not with XAttribute! Considering all that I have shown hereabove, I like XPath already, especially for its flexibility and easiness to use. However, there is more use for XPath using LINQ, that makes XPath even more interesting: there is a possibility to use the XPathNavigator class with LINQ to XML too. To show you how it works, I create the same query, selecting the title of the book with ID 4, this time using the XPathNavigator. Just remember the CreateNavigator() function on the XElement entity and you are able to use all XPath wealth in functions like Select, SelectChildren, ValueAs… (typed values), etc. etc. 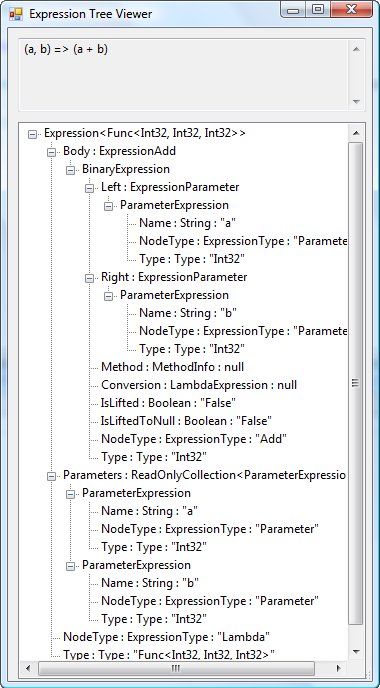 Concluding everything, I am sure XPath is a most valuable feature set to pure LINQ to XML. Without it, I would have had a hard time to implement real difficult situations like dynamic queries, which has been addressed using XPath. I hope I could make you enthousiastic as well ! Feel free to post any comments you like (on-topic please ). This entry was posted in .NET, LINQ, LINQ to XML, XPath, XPathNavigator on June 30, 2008 by Bert Loedeman. 1. DefaultButton requires a control’s UniqueID property, but DefaultFocus requires a control’s ClientID property. Strange, but it really works ! Hope that helps somebody out there too ! This entry was posted in .NET, asp.net, DefaultButton, DefaultFocus on June 13, 2008 by Bert Loedeman.